It is hard to believe that just ten years ago what remained of the original Schoellkopf Park looked very different. 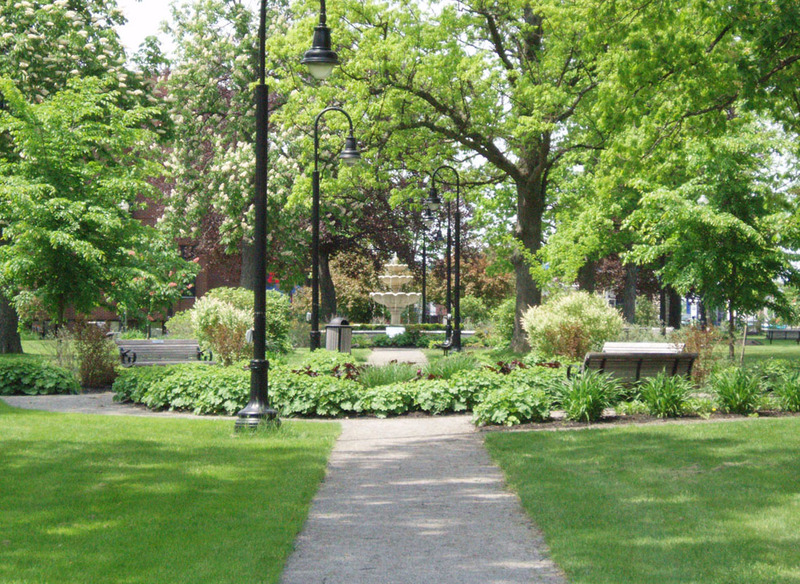 In 1913 Schoellkopf Park was gifted to the City of Niagara Falls from the Schoellkopf family as its first public city park. 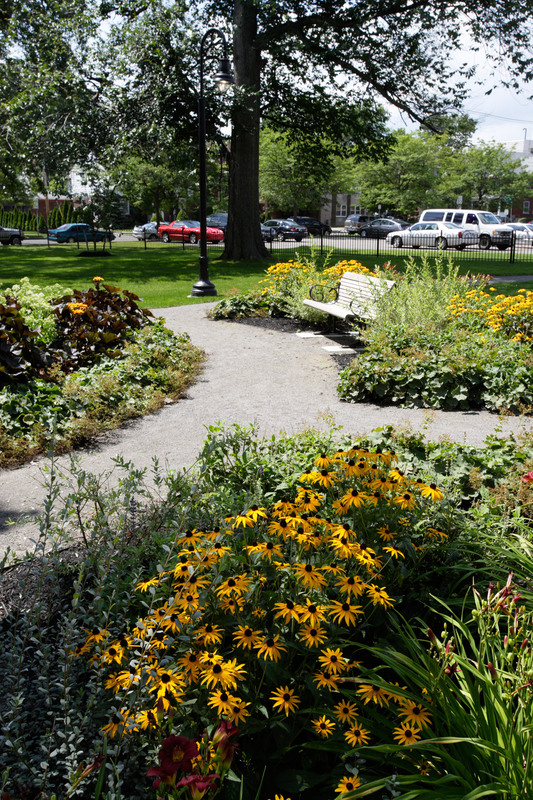 It originally occupied more than 4 acres in the city, but as time and development marched forward, the size and prestige of the park declined considerably. 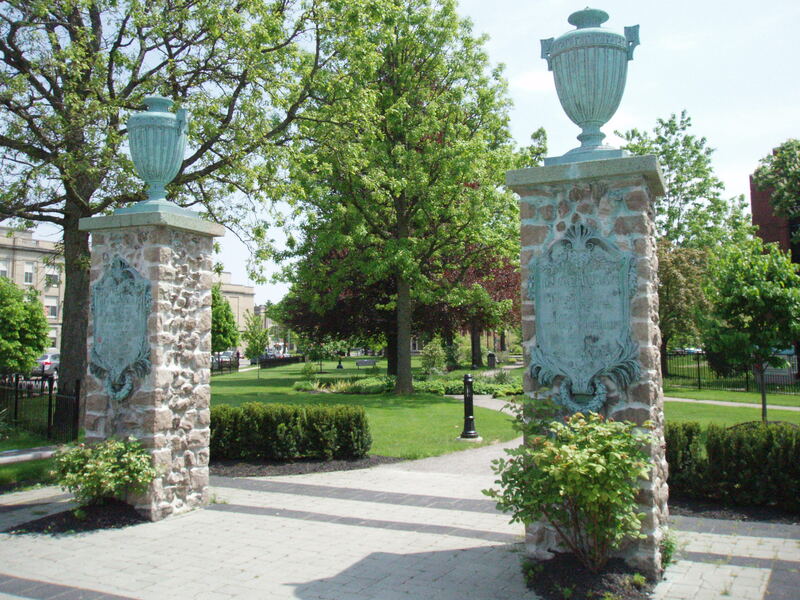 During the mid-1980s, the park became part of the Niagara Falls Memorial Medical Center property, reclaiming a portion being used for a much needed community nursing home facility. 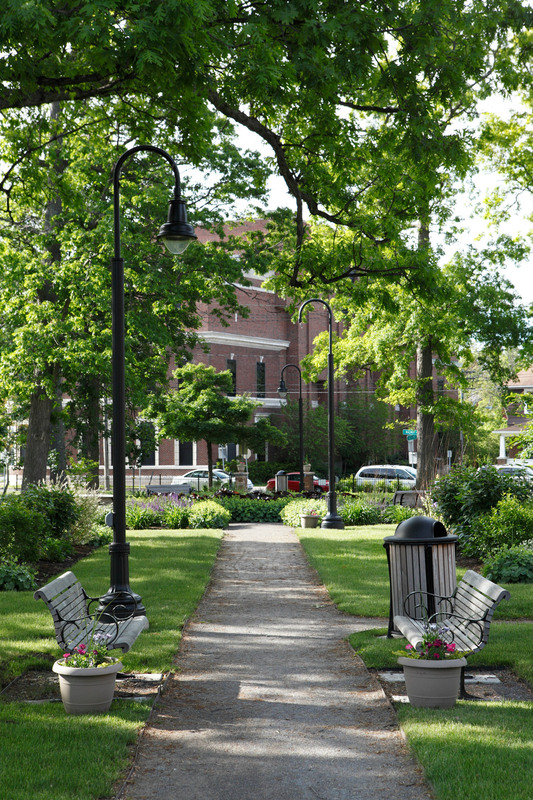 By the early 2000’s, with the Medical Center and Nursing Home entrances on a neighboring street, the park had essentially become the back door for the center with only turf and large trees remaining. 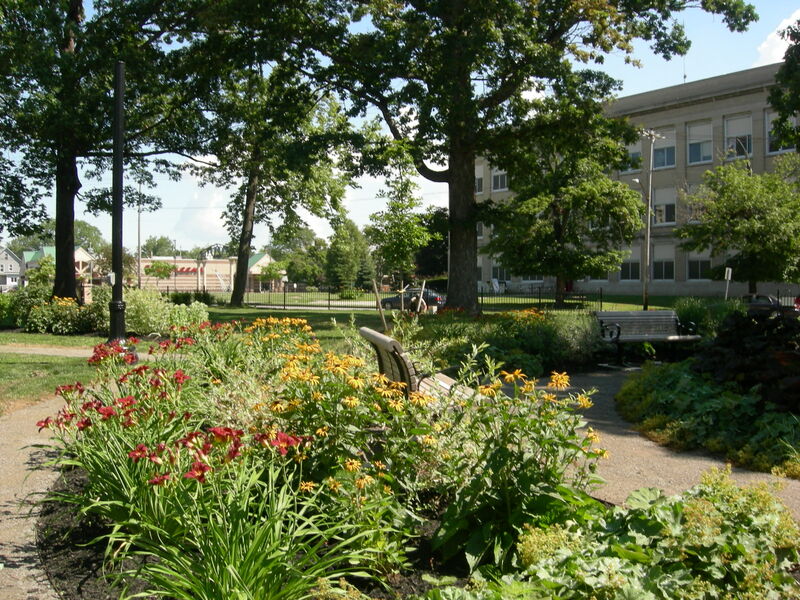 In 2006 the Medical Center saw an opportunity to use the greenspace to connect with the Niagara Arts and Cultural Center located across the street, and to the surrounding neighborhood. Additionally the Medical Center was in the process of upgrading the Nursing Home and saw an opportunity to create a deeper connection between the residents and the healing power of the natural world. 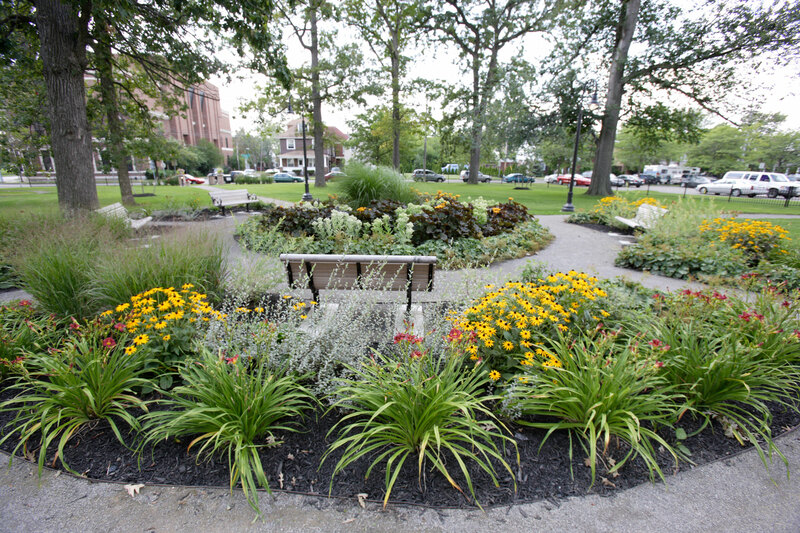 The park now boasts lush gardens, shady benches and period style lighting enjoyed by the neighborhood and residents alike. Nursing Home staff use the shady lawn for yoga and tai chi, and can be regularly seen pushing residents in wheel chairs throughout the park. 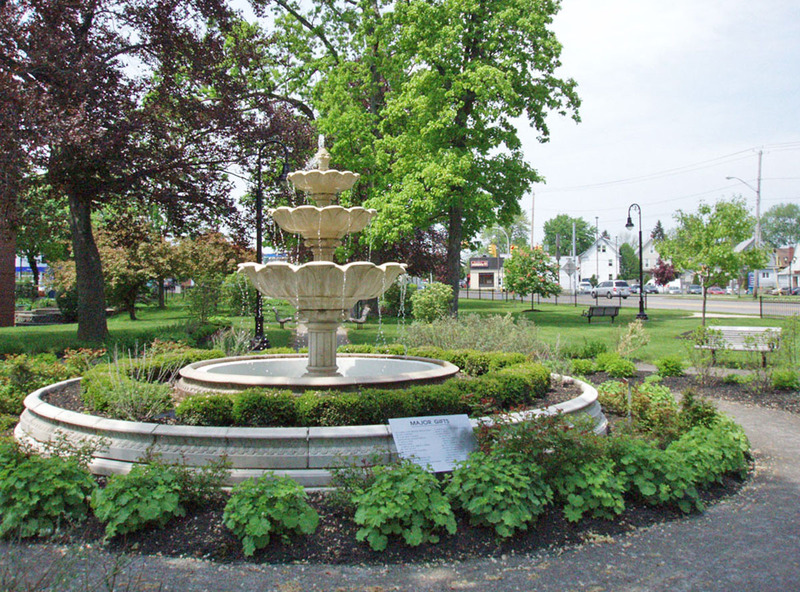 The main fountain, an homage to the long since gone historic fountain, is aligned on axis with all the dining rooms in the Nursing Home, bringing this spectacular view to all. 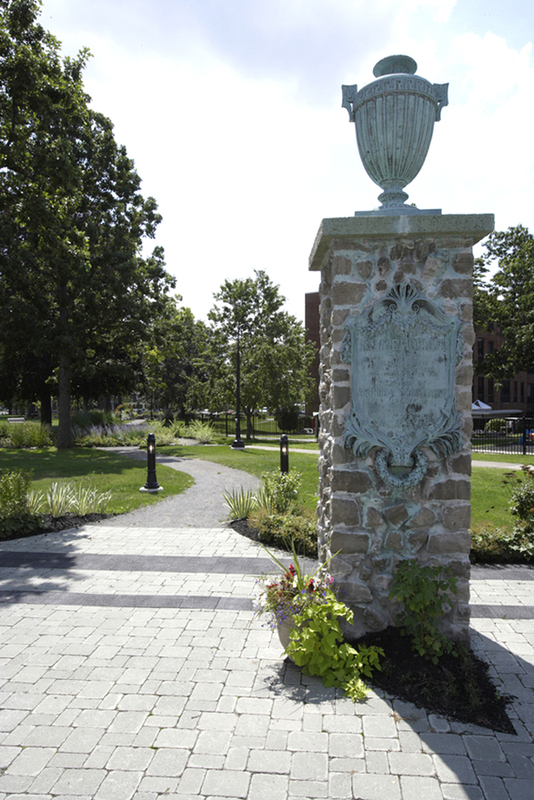 The success of the park’s rebirth was due in large part to the Schoellkopf family’s ongoing commitment to the City of Niagara Falls. With their support, the Medical Center was able to leverage additional Federal, State, and private foundation funding totaling more than $800,000.00. This gem returned to the heart of the community when more than 1,000 visitors attended a special July 4th Concert-In-The-Park with the Buffalo Philharmonic Orchestra on opening weekend. 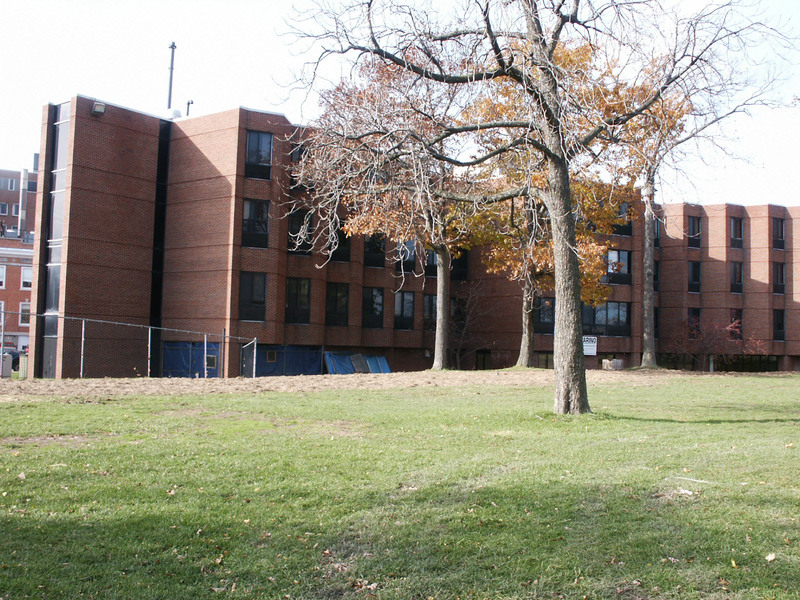 Prior to the redevelopment of the park, the neighborhood surrounding the Medical Center had a large number of vacant homes, sidewalks and streets in poor condition. 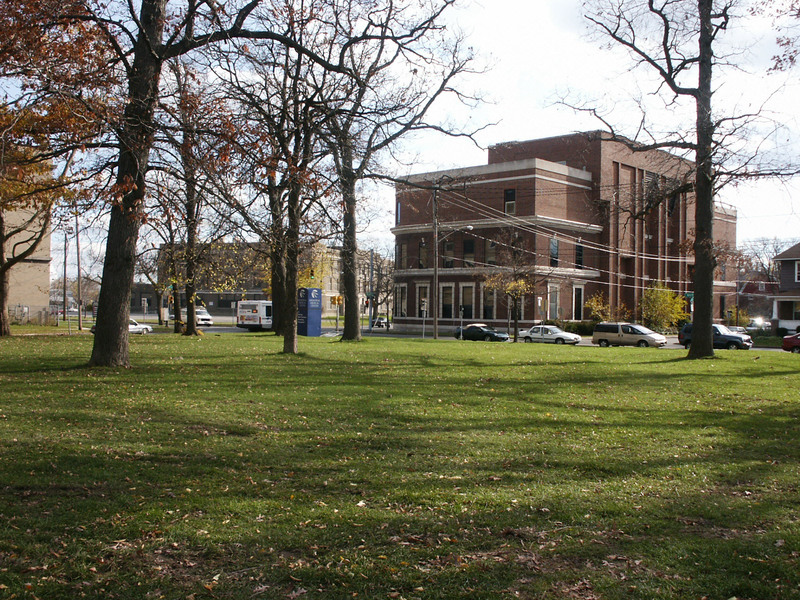 As part of the City of Niagara Falls’ Master Plan, the park, the nearby arts center, and the adjacent vacant school were noted as prime components toward the redevelopment of this fringe neighborhood. Before committing to redeveloping the area, the Medical Center needed and wanted to make sure the safety of their nursing home residents was a primary concern. 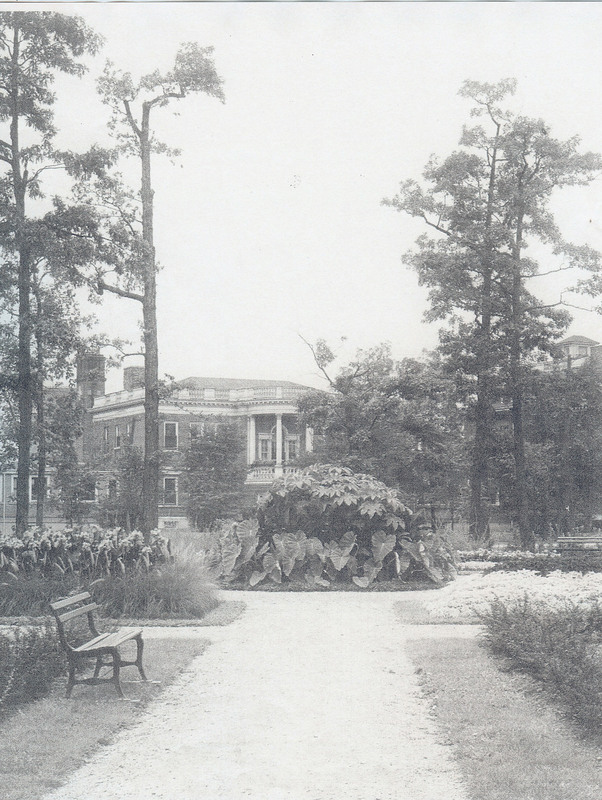 Lighting and fencing were sensitively designed in order to provide the safety levels the Medical Center desired, but at the same time create a welcoming environment for all who passed through the park. Historic photos provided the documentation for the park’s historic layout of long axial walks punctuated by circles, allowing users a continuous flow throughout the park. The new park aligns these circles to capture views from inside the Nursing Home and connect the part to the Niagara Arts and Cultural Center across the street. 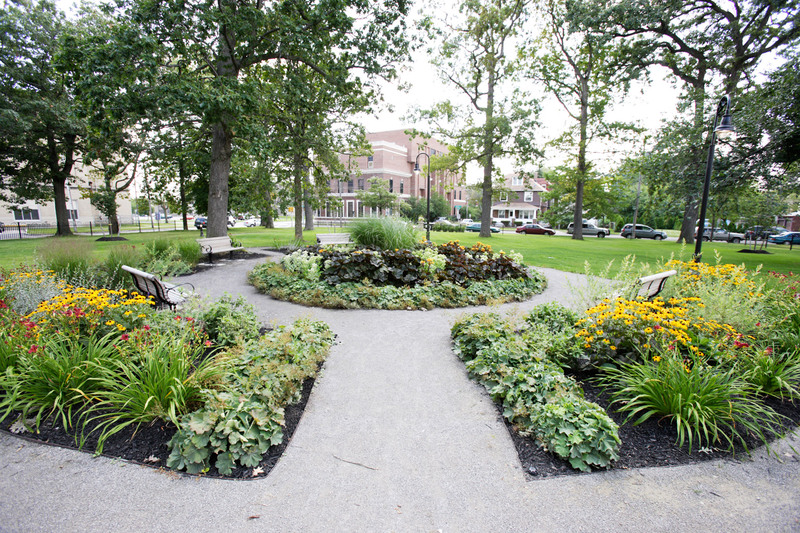 Planters, benches and lighting fixtures along the axial walks mimic the historic photos while using non-invasive and native plants to the Western NY region. People are frequently seen walking the circles in the park as part of their exercise routine, and families now use the park for wedding, graduation, and other special occasion photos. 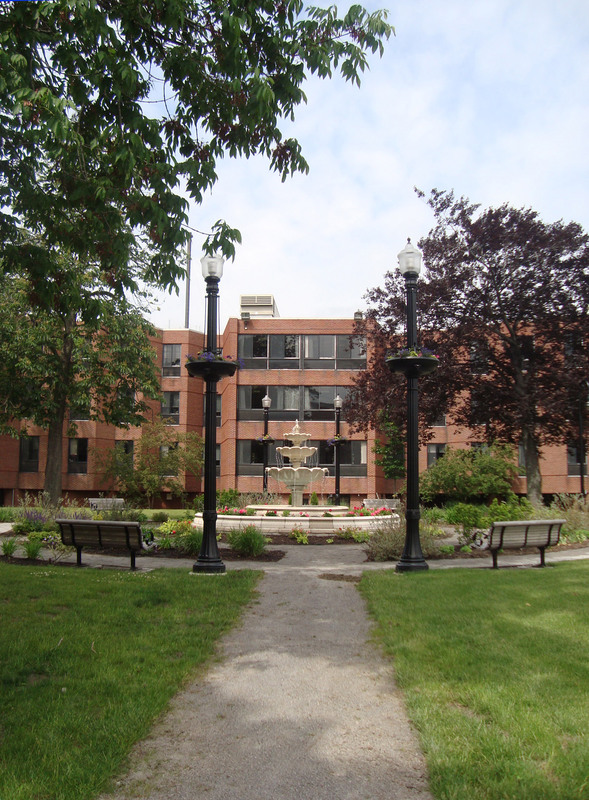 This two acre gem has been a catalyst in redeveloping the neighborhood, spurring ongoing revitalization efforts at the Niagara Arts and Cultural Center and former Niagara Falls South Junior High School which is currently being renovated into loft style housing.